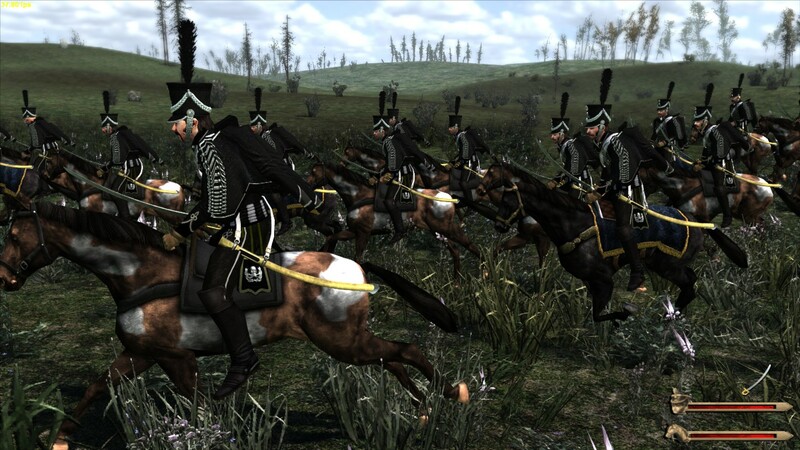 It is a mod for Warband on the independence of Chile from Spain in the nineteenth century (1810-1818, will begin in 1814), then I created the troops of the year, with information from books, expert help and own research on the Internet. This is to make it as realistic as possible, in terms of uniforms and weapons, etc. - Argentina - Northern Army. - Argentina - Army of the Andes. - Army of Upper Peru. - New banner for all faction. 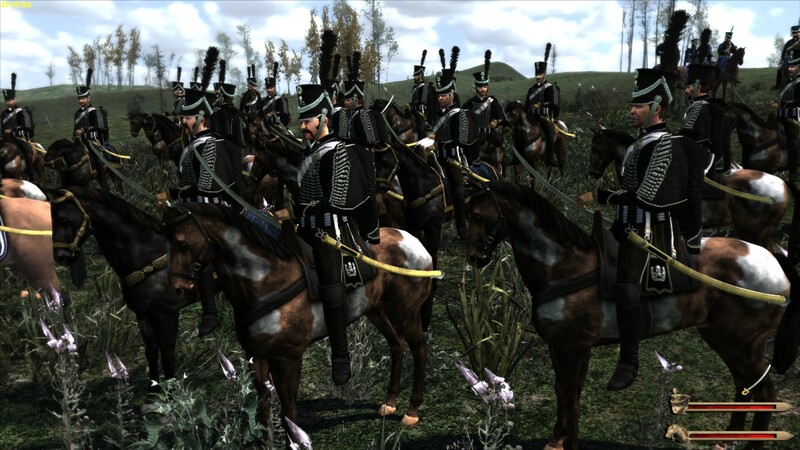 - Training Square in fast battle or skirmish (runs with the key H) you can also select infantry separately from other troops, it´s to say, press number 1 (light infantry) or 2 (heavy infantry) and 3 for cavalry. - Historic Lord names for all Factions. - New Dynamics tavern, where you can find characters playing guitar, poets that let you play music for 10 denars (lack to add the Argentina and Spanish music) while you're in the tavern, also you can play cards with the bartenders and bet money. Occasionally you can find a Chinese woman (life's woman), etc. - New Dialogs, new textures, new decoration. - New Icons of the general map, 3 per faction. - You Can see the tree of troops on "Reports" and you can see all the equipment and skills of each troop. - New Cities, New buildings. - New Textures and beards for the character. 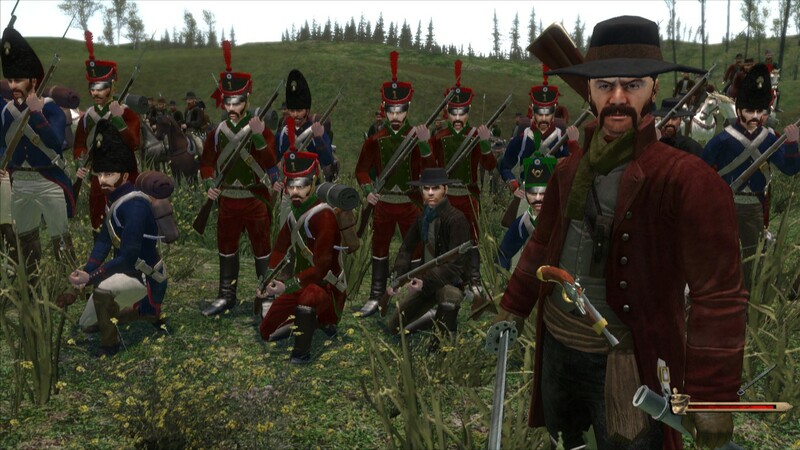 - You Can train with your favorite weapons in the training centers, including pistol and musket. - Tournaments With new weapons and uniforms. - shot effect, - Animation-bayonet. - I’ve added "Scorts" in taverns (in 10 cities), which may provide their services for a certain amount of money, for you or your troops. If it's for you, your troops will go down morale in some amount of points, but if it is for your men, it will be upside down, but it costs more expensive. - Light infantry: all carry a musket, but all not carry ammunition, they are good at melee, they are stronger and faster, but they are not very resistant. - Grenadiers or second infantry: all carry musket and ammunition, they use more accurate muskets, have less strength and less speed, but they are more resistant. - Hunters or third troop: they carry a musket and ammunition, their muskets are the best, more accurately, no melee, less strength and slower. - Cavalry: there are 2 in each faction, one is stronger with more melee but less riding (only in one faction there is one type). with the mod (was not worth upload it again as the date as 200 people already downloaded). I give many credit to "Dangermau5" it was my partner in every sense, he was the creator of the cities mentioned above, in addition to always provide with information to make this mod as much historical as possible. I Also give many credit to Camilo Escandar, He was the person who helped me a lot with the mod' textures. information to complete certain script in the mod. - Slawomir of Aaarrghh : [OSP] Tavern Animation Pack. - SonKidd : [OSP] Script to guarantee all melee weapons (1hand, 2hand + polearms). - jacobhinds : [OSP] Form Musket Square. - ScreamingCommie, Beaver y DuskVoyager : [OSP] Grenades and Explosions (Originally by Beaver). - Slawomir of Aaarrghh : [OSP] Map Icons Pack. - AndyYa : [OSP] Three cards game. - proud : Custom Game Fonts. - Cromcrom : [OSP] Chosen Songs playing bards. - dunde : Dynamic Kingdom Troop Tree Presentation. 1866, mod para la version 1.011. Importante: Para los de habla hispana. The Death's Hussars was a paramilitary body formed by Manuel Rodriguez after the disaster of Cancha Rayada, the 23 of March of 1818 in the period known as Patria Nueva of the Chile Independence. His uniform was that of the hussars of Galicia, but black, with a skull on two white femurs in the neck. 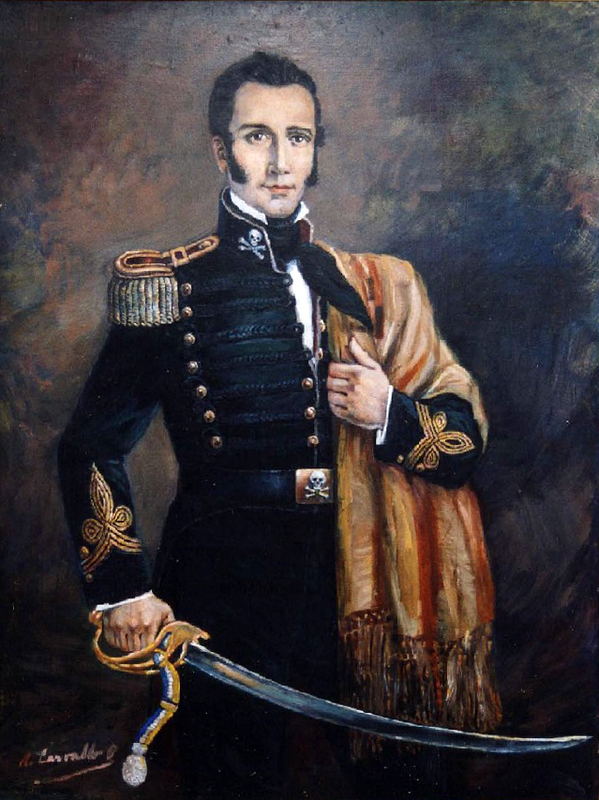 Manuel Rodríguez had previously worn a uniform of captain of the Hussars of the Great National Guard in the campaign of 1813 in the south of the country, forced by his friend Jose Miguel Carrera to dress him in his capacity as assistant. On this occasion he received from Buenos Aires a uniform of German Hussar, for he had been greatly impressed by the illustrations which a friend had shown him in Santiago of the uniforms used in the European wars against Napoleon. The news of the Cancha Rayada surprise caused great consternation and fear in the inhabitants of Santiago, all thought of a new emigration to Mendoza or to United Provinces of the Río de la Plata. In those critical circumstances appeared the popular warrior Manuel Rodríguez, and to the cry of "We still have homeland citizens !! ", it returned the spirit to those who believed everything lost and was appointed Supreme Director. The Chilean people associated him with the government of the Board of Directors that presided over Don Luis de la Cruz, and in a few hours Rodríguez organized and armed a regiment that he called Death's Hussars, meaning that they preferred to die before giving victory to the enemy. He encouraged the people and gave weapons to the volunteers who came forward to build the defense of Santiago. It is the warrior (Guerrillero) who dominates the situation and prepares the capital to resist the realists, stirring the people and organizing an extraordinary mobilization. The rumor of O'Higgins's death at the Battle of Cancha Rayada ran everywhere, and the people saw Manuel Rodríguez, the leader of the Reconquest, as the only leader, who now wore his elegant black uniform of the Hussars and was Accompanied by many of his followers and friends.At that time, the Hussars of Death commanded by General Sebastian Vega ("Taldo") took a prominent part and adorned the streets of Santiago with courage, vigor and patriotism, their skulls came alive and the people were ready and willing to defend the independence of Chile. Thirty hours after Manuel assumed as supreme director, unexpectedly appeared badly wounded in the Government Palace, Bernardo O'Higgins, finding Manuel Rodríguez and the Hussars of Death at the country's command, talks with Rodriguez, who delivers the Command and presents to the Húsares of the Death like a paramilitary group ready to defend the capital that in a few days would already have the realists in its streets, but O'Higgins does not share the idea that the men of Rodriguez defend the city. Crippled after Cancha Rayada, O'Higgins delegated the command of the patriot troops in San Martin. He gathered them on the plains of Maipu, on the outskirts of Santiago. In the battle of Maipú, fought on April 5, 1818, San Martin inflicted a hard defeat on Osorio, who chose to return to Concepcion; The realists would no longer attempt another incursion to Santiago, with which independence was assured. According to José Zapiola in his book "Memories of 30 years" Manuel Rodríguez before the Battle of Maipu, he spoke with the members of the Hussars of Death and agreed to not appear in battle and wait in Santiago, after that episode and after Of the battle of Maipú the 5 of April of 1818, the squadron was dissolved, since they did not want to participate of said battle like an act of not support to O'Higgins. More recent versions discredit the hypothesis of Zapiola, showing the fight that still existed between O'Higgins and Carrera, which is why O'Higgins prevented any carrerista officer including the squadron death hussars participate in the final battle For the Independence of Chile. Nevertheless, in the parts of the Army of Chile, and in works of historians like Miguel D. Amunategui and Benjamín Vicuna Mackenna, it is made clear that the battalion of Húsares of the death "remained in rearguard by dispositions of Bernardo O'Higgins , And who captured 700 royalists under the command of the patriotic deserter Angel Calvo, in a charge of cavalry that wound up with these forces in the hill Niebla where they had taken refuge.Recently the Chilean Historian Joel Avilez Leiva, presented a study on the behavior of this regiment in the battle of Maipú, and the fate of its fighters, titled "The Last skulls" UNV. BOWL. 2009. The nineteenth-century version of Rodríguez and the "Hussars" did not participate in the Battle of Maipú originates in the story of Jose Zamudio, Memories of thirty years, he maintains that the members of the Hussars and their leader had agreed not to participate Of the battle, waiting for the return of José Miguel Carrera, to take political power. Zamudio indicates that this story was given to him by Ramón Allende, whom he identifies as a carrerino chief. 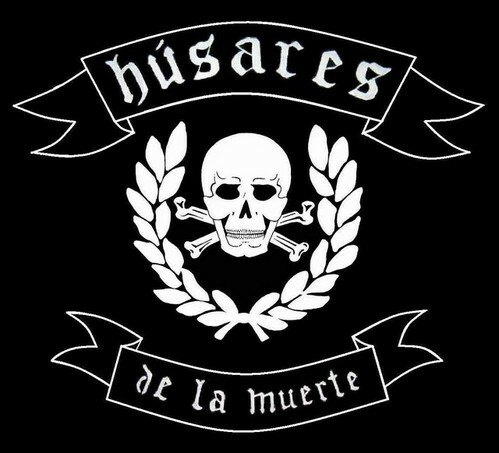 This oral source is the only one that supports this version.Luis Valencia Avaria points out that the "Hussars" were "no more than two hundred, most of them were types of violence and anarchists." He was not the best people, Rodriguez had formed them with leftovers, they lasted only twenty days and they did not nothing. They only created complications. " In any case, the great majority of those who accept the story of Zamudio do so in an integral manner, without discussing or commenting on the statement. Those who opposed this version were concerned to invalidate the characterization of their original source. Thus, Eulogio Rojas Mery points out that Ramon Allende was an enemy of Carrera, citing as evidence a libel against it, written by Irisarri in Mendoza; Among the signatories of this libel figure Ramon Allende. To this Rojas Mery adds bibliographical references that affirm that the "Húsares" participated in the Battle of Maipú, like Life of O'Higgins, of Benjamín Vicuna Mackenna or Dictatorship of O'Higgins, of Amunátegui. This participation is basically expressed in that the "Hussars of Death" regiment cut off the retreat, surrounded and defeated the royalist chief Ángel Calvo on the hill of La Niebla, located on the north side of the Maipo river, near the ford of Maipú. For his part, Gustavo Opazo Maturana refers to three documents that would demonstrate the participation of the "Hussars" and Rodriguez in the Battle of Maipú. The first one is the service sheet of Tomás Quezada, officer of said regiment. It is stated that he participated in this event, under the orders of Manuel Rodríguez. The same is stated in the service sheet of Colonel Pedro Urriola, assistant, and in that of General Marcos Maturana del Campo, "distinguished soldier" of the regiment. This same author gave an unpublished testimony of Pedro Martínez de Aldunate. In his diary of life, he points out that the "Hussars" regiment arrives in platoons at five in the afternoon to the point where the headquarters flag was located. He adds that on the hill that belonged to the hacienda of Santa Cruz, they faced the realistic officer Angel Calvo, to the control of 700 men, who were surrendered by the assistant Merlo. Finally, he concludes by pointing out that Rodríguez returned to Santiago that night, accompanied by Tomás Urra. I will no longer moderate. 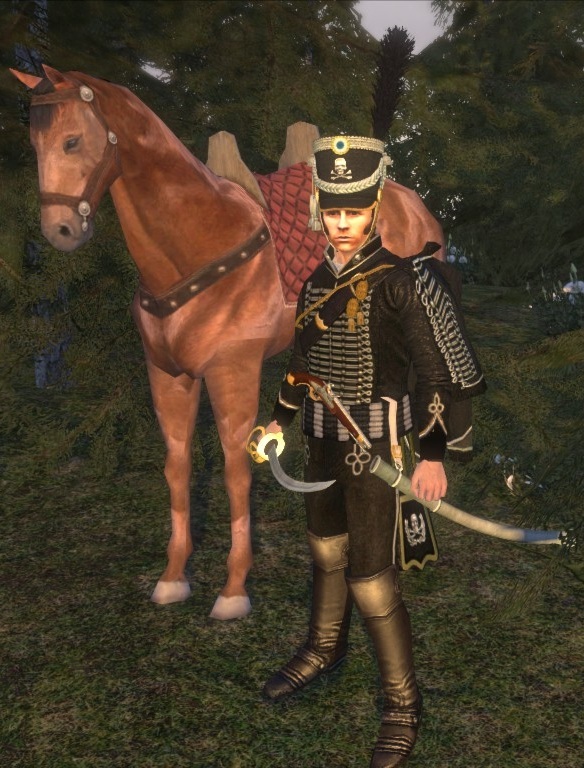 This mod has some great uniforms. Me ha gustado un vídeo de @YouTube (http://youtu.be/it_inNWE4dY?a - LIBRA "REGRESA" ENERO 21 27). Me ha gustado un vídeo de @YouTube (http://youtu.be/K6o4nJyHNso?a - Preußens Gloria - Chilean Army. (2018)). Me ha gustado un vídeo de @YouTube (http://youtu.be/QMcMHxlkH0U?a - Stahlhelm 1916 - 1945 - El Casco Alemán).